Msida (Maltese: L-Imsida) (Italian: Misida) is a harbour town in the Central Region of Malta with a population of 8,545 (March 2014). The town is located just west of Valletta on the northeast coast of Malta. The town enjoys a Mediterranean climate with hot, dry, sunny summers and short, cool winters. The neighbouring towns of Msida are Ta' Xbiex, Gżira, San Ġwann, Birkirkara, Santa Venera, Ħamrun and Pietà. Msida is an important town for all travellers as many of the country's bus routes pass through it. The patron saint of Msida is Saint Joseph while the protector is The Immaculate Conception of the Blessed Virgin Mary. For a week and a half in July, the town celebrates the feast of St. Joseph. The feast of Msida is also famous for its traditional game il-Ġostra. Places of interest are the Yacht Marina, Seaside with traditional fishing boats, the University of Malta and the different gardens: the Playingfield at 5 ta’ Ottubru Square, the Garden in front of Parish Church and thePlayingfield at Ballijju Guttenberg street Swatar. Its name comes from an Arabic word meaning "a fisherman's dwelling". However it could also be derived from the word 'Omm Sidna' meaning 'The Mother of Our Lord' since there could have been a small chapel dedicated to the Blessed Virgin Mary, Mother of God. Msida was previously an old fishing village. Although it is now more urbanised, some fishermen still operate in the village. 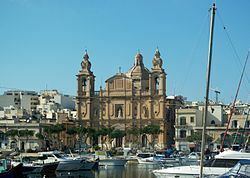 Msida became a parish in 1867. Then the settlement was centered on the hovels located inward at Valley Road, and some nearby ancillary roads and pathways which led up to the quaint district of Villambrosa. This status did not last long however, as a new parish Ħamrun was hived off in 1881. 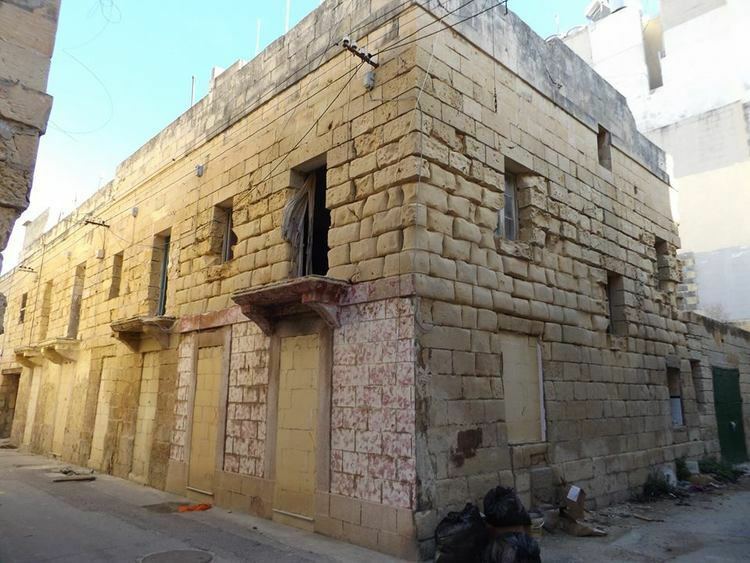 Today the lowest part of Villambrosa Street remains a silent reminder of Msida's jurisdiction in this area. Msida would also eventually see parts of its territory lost to new parishes at Santa Venera in 1918, Pietà in 1968 and Ta' Xbiex in 1969. Its population, which at one time numbered 11,500, thus also dwindled to a mere 6,000. However the recent aforementioned demands as well as residential developments in the outlying suburb of Swatar, have now seen an increase to more than 7600 inhabitants. Swatar also hosts St. Martin's College, a private secondary school. 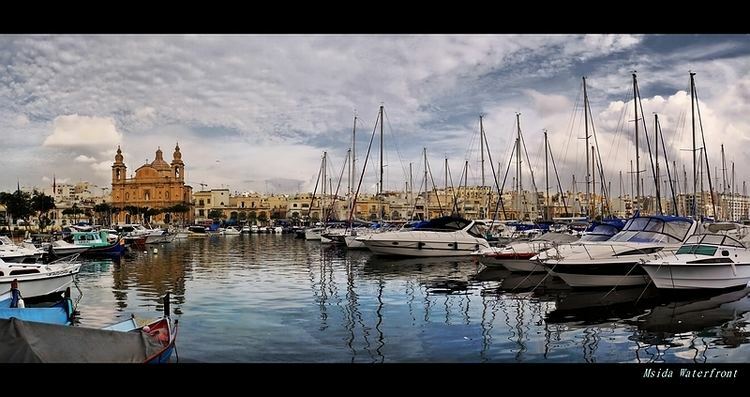 Today, Msida is a bustling university town and development has been centered on an increasing student population at the University as well as various new service industries that have sprung in this town in recent years. The city houses many university students, mostly Gozitans. The lower part of Msida lies at the outlet of a valley and is a fulcrum for heavy traffic going to Sliema, Valletta, Birkirkara and Mater Dei Hospital. When it rains, water rushes down towards the sea from surrounding cities at higher levels and often causes floods, bringing traffic to a halt in the area opposite the Parish Church dedicated to St. Joseph. Msida also hosts an old rock hewn chapel dedicated to the Immaculate Conception, a rarity of its kind. Msida has also experienced a lot of reclamation from the sea. The town centre and surrounding areas which were located below sea-level were all reclaimed from the sea, after World War II. A new project which intends to catch more surface rainwater running should also considerably remedy a perennial flooding problem which affects this area as well as nearby towns. Msida host two local newspapers. The Leħen il-Misidjani ("The Voice of the Misidjani") is produced and edited by the local band club the Għaqda Melita Banda San Ġużepp Msida. The "Leħen il-Misidjani" gathers information on most of the communities, clubs and associations based in an around Msida. Another newspaper is the Id f'Id ("Hand in Hand"), produced by the Parish and the Għaqda Armar Msida. It contains information on church activities, religious activities in Msida and the Feasts. The University of Malta is situated in a part of Msida known as Tal-Qroqq which rests on higher ground. Msida is also home to the Giovanni Francesco Abela Junior College and a State Nursing Home. Msida is home to Msida Saint-Joseph F.C., the local football team currently playing in the Second division of Malta. The team colours are Red and White. Msida also hosts the Msida Red Stars A.F.C, a local 7-a-side team which participates in the I.A.S.C (Inter Amateur Soccer Competition), and Msida Boċċi Klabb (Club), the local "boċċi" team. The Mater Dei Hospital is located in the outskirts of Msida. It was inaugurated by the prime minister of Malta Dr. Gonzi in June 2007 and has a total floor area of 232,000m2 and approximately 8,000 rooms. It also houses a teaching facility for the University of Malta. The hospital has cost the Maltese people 200,000,000 Maltese liri, a considerable increase compared to its original estimate of 83,000,000 Maltese liri. It was intended to be a specialised centre but was eventually changed to a general hospital with a change in government. In the late 19th century, a floating British navy hydraulic dock was also planned at the central part of Msida close to where the Torpedo Depot used to stand. The plan was soon aborted but instead, this area would in later years experience a booming yacht marina service, which has been growing ever since, thanks to new incentive policies issued by the central government. Carmelo Bartolo k/a Lino (PL) was elected by default because he did not gather enough votes to be elected on a full quota. Msida traditionally celebrates the Feast of St. Joseph on the first Sunday after July 16 every year. The local football club is Msida St. Joseph F.C.